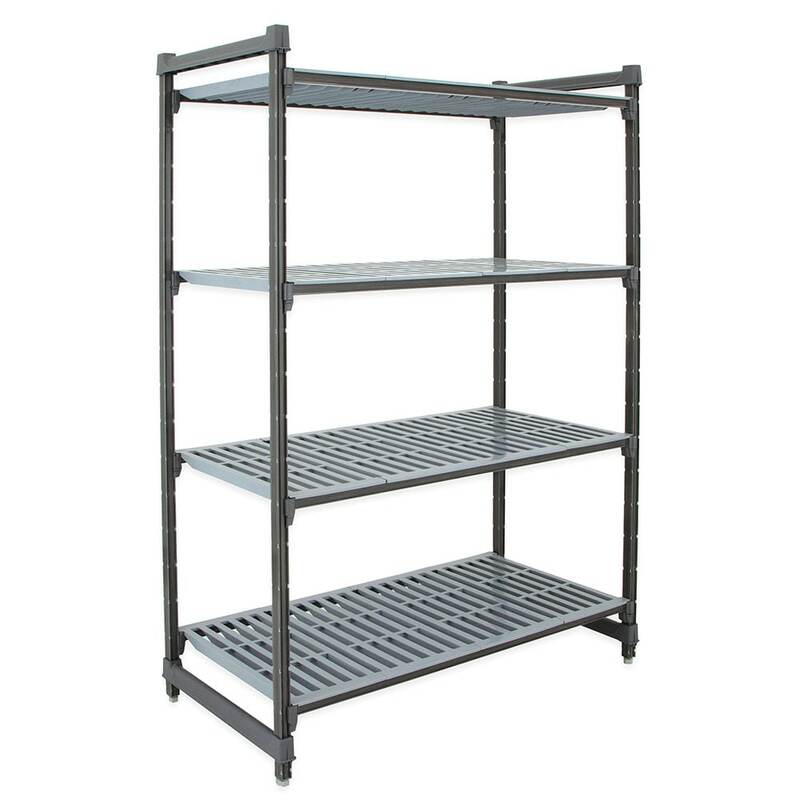 The Cambro CBU214272V4580 Camshelving® Basics starter shelving unit can endure temperatures between -36 and 190 degrees Fahrenheit and is ideal for storing product in walk-ins or in the back of house. Each of its four shelves can hold 600 pounds and is vented so that air can circulate around the stored items. These shelves connect to four posts with eight traverses, and leveling feet on the bottom stabilize the unit on uneven flooring. 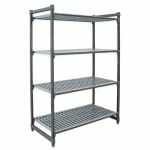 The Cambro CBU214272V4580 starter shelving unit is mostly constructed of durable polypropylene. More information on polymer shelves is available in the polymer shelving guide.